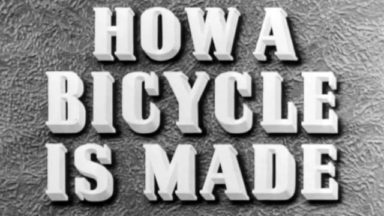 A Must see :Awesome video from 1945 The design and manufacture of Raleigh bicycles. From folding bike manufacturer Dahon comes a video they took when they visited a hydroforming factory. Looks like a number of their bikes utilize this process to produce some very nice forms. Check out their Ios urban performance bike. lynskeyperformance.com (aka) Lynskey Performance in Chattanooga has built an entry level Cyclo-Cross bike and we walk thru the manufacturing process step by step from the Mitering process to the finished bike frame.